Over the years, Google Maps has become much more than just maps. The app enables users to share their location with contacts, search for nearby businesses, add reviews and more. However, it seems Google is not yet content and wants to make it even more useful as some users are now discovering they can add events to Google Maps. This new feature first spotted by Android Police appears to be in the testing phase because it is available to only a small number of users in select regions. To add events to Google Maps, users must go to the “Contribute” tab. Some are also seeing a new “Events” tab in the “Your Contributions” section. It is a useful and much-needed feature, considering that Google Maps has been allowing users to follow public events for a while now. Additionally, since Google+ is almost non-existent now, the search giant needs a way to allow users to add events outside the Calendar app. Initially, Android Police said the feature to add events to Google Maps worked inconsistently, and events that were added didn’t become live on Google Maps until an hour or more later, even though they appeared in the “Contribute” tab. Users were getting an error stating “Maps can’t access the internet.” Later the feature started to work smoothly. To add an event to Google Maps, open the Maps app on your Android phone or tablet and tap the “Contribute” tab. Next, go to “Events” and select “Add a public event.” You will then have to enter relevant details related to the event and then post it. You can give a name to the event, add the venue, start time, and end time, add photos, assign it to a category, and include a web link if there is one available. There are character limits as well, but Android Police said the process of adding an event is “no more difficult” than adding an event in Google Calendar. To edit an event which has already been added, open Google Maps and go to the “Contribute” tab. Next, tap “Events” and select the event you wish to edit. Now tap “Edit” on the event and change the details or add new information about it. The mobile version of Google Maps isn’t the only one to receive a major update. The web version of the service now has a new user interface. The most noticeable change is for the place listings. The large blue card background had been removed, and the main photo is a bit bigger now. The names are also bolder, and rating stars now show in yellow. Additionally, the shape of the Quick access icons has become rounded, and the text is now small and gray instead of blue and capitalized. The icons for the directions are also no longer floating. The shape of the search bar has also been changed and now sports rounded corners. On tapping the search bar, the location and nearby icons pop up inside a large blue button. Changes have also been made to the text font and color. 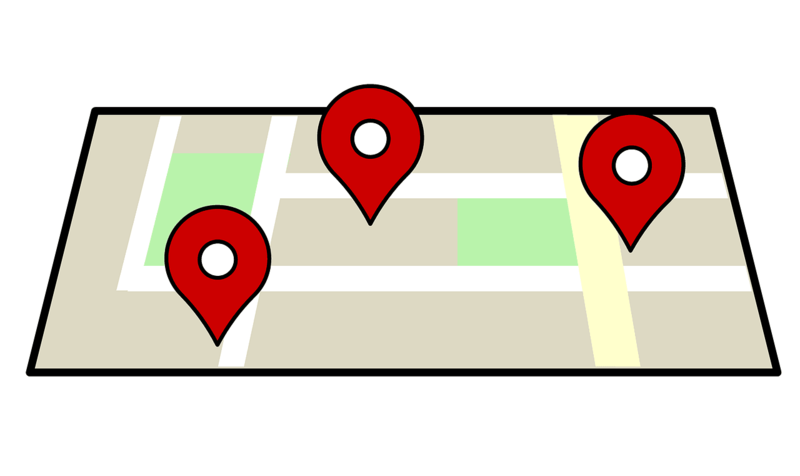 In addition to adding new features, Google is also constantly working to make location data more gaming-friendly. Last year the search giant made changes to support AR gaming by allowing games to use location data. Earlier this month, Google added three new features to make the gaming experience even more immersive. The search giant said the Maps Platform API is adding support for pathfinding, elevation and biome. These new features allow developers to adapt their games to players’ surroundings in real time. For example, the API will identify landmarks to allow developers to place in-game objects. Pathfinding, which benefits from routing algorithms in Google Maps, will allow in-game characters and elements to move on a wider scale. With support for terrain elevation, virtual worlds will no longer remain flat, allowing developers to add more customized locations to the game. Finally, the biome data will help to customize locations’ land coveringsfor the virtual world.